Long lines and a trim form are softened to casual perfection by an amply cushioned seat and plumply stuffed back pillows. 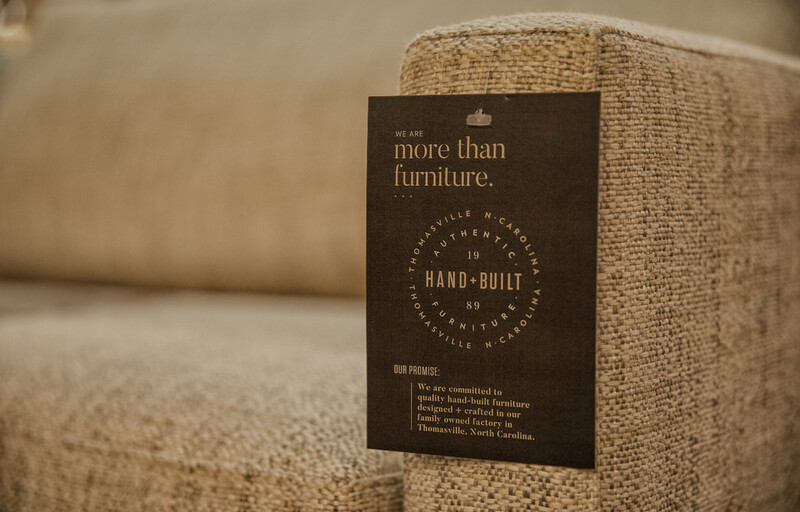 Visit our Materials Section to see our 300 plus fabric and leather upholstery options, sourced from around the world. Due to differences in screen resolutions, the fabric and finishes displayed may vary from the actual fabric and finish colors. Founded by Mike Younger in 1989, our company is now in its second generation of family leadership, as Mike’s children work to carry his legacy forward. Our vision is to always remain a stable, reliable, and positive force in the lives of our community and the people who choose to work with us.